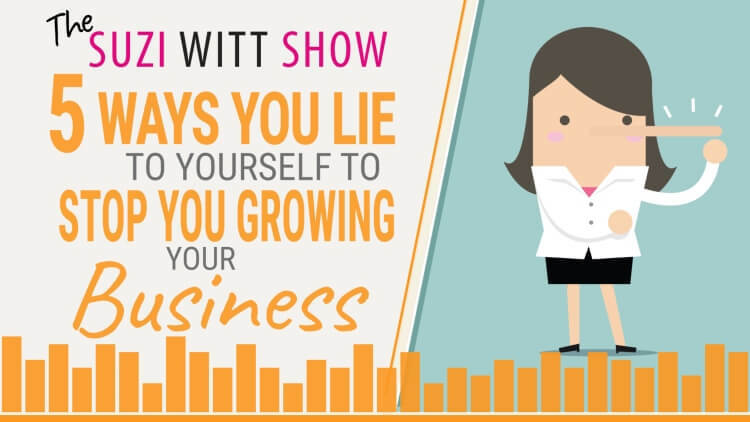 In episode 16 of the Suzi Witt Show, I am talking about things you may be convincing yourself are true that stop you growing your business. Sometimes you can actually lie to yourself to stop you doing something that you really need to do in order to grow your small business. Listen in this week to find out the 5 most common things people tend to convince themselves are true (when they are not!). Find out the 5 common lies you convince yourself are true which stop you growing your business. Hear why I think that being friends with everyone is not the way forward. Find out why overly focusing on current customers can mean you end up quieter in the future. Find out my main areas for improving effeciency and speeding up work production. Learn about my view on multiple social media platforms and why you need to be careful social media doesn't prevent you from growing. TSWS: 015 Testimonials - how you get them, why you need them and what if you get a bad one. TSWS: 014 How do you get your mojo back? TSWS: 011 How do you get more customers?